Once a business purchases equipment, it is ordinarily set up as an asset on the balance sheet and depreciated over 60 or 84 months. This time period may exceed the useful life of the equipment and will most likely exceed the term of most lease contracts. Purchasing professionals are especially aware of this disconnect, and want a means by which they can expense their equipment within a shorter time period that is closer to the life span of the collateral. They also want to keep their systems on the cutting edge, or if not on the edge, somewhere on the curve. Conventional wisdom holds that the useful life for most capital equipment is rarely over three years. This is particularly true for any product that is vulnerable to technological obsolescence. A lease has potential tax advantages in that it gives companies the ability to expense (deduct) lease payments over the term of the lease, typically in 36 months, which is much shorter than the depreciation schedule described above. Where Can I Find the Official IRS Statement? The IRS Government web site can be found here. 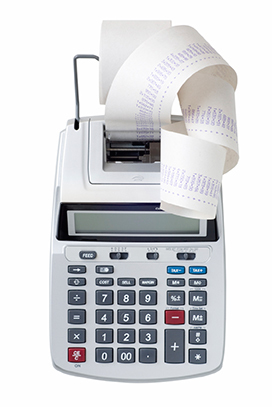 Where Can I find the Section 179 Tax Calculator? The Section 179 Tax Calculator can be found here.